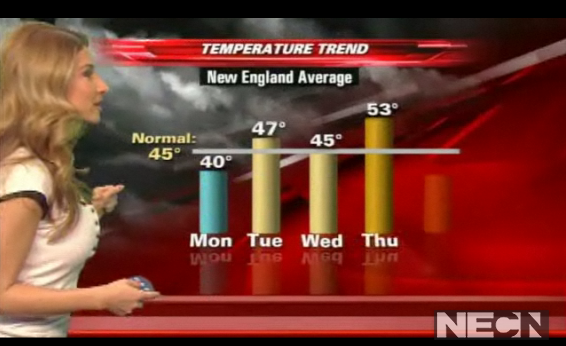 "Dear Nelly, I enjoy viewing you efforts on informing the public of the current weather predictions. However, I would like to point out a small technical mistake that perhaps you are unaware. Please be more careful when using the terms "average" and "normal" and avoid saying temperatures are above or below normal unless they are far away from the standard deviation for that time of year. While she never replied to my message, so far she has not said "Highs a few degrees above normal" again since I sent it. Thanks so much Nelly! Have any of you ever kissed a girl?